A pantry shelving system with slide out pantry shelves helps organize your kitchen closet so that you can find things quickly and have less wasted food! Tuck an organization system like this into a walk-in pantry closet — or leave it exposed, installed along the wall of a kitchen corner. These shelving ideas for pantry organization will keep your kitchen tidy and efficient, making food prep a breeze and saving you money on lost or expired ingredients. 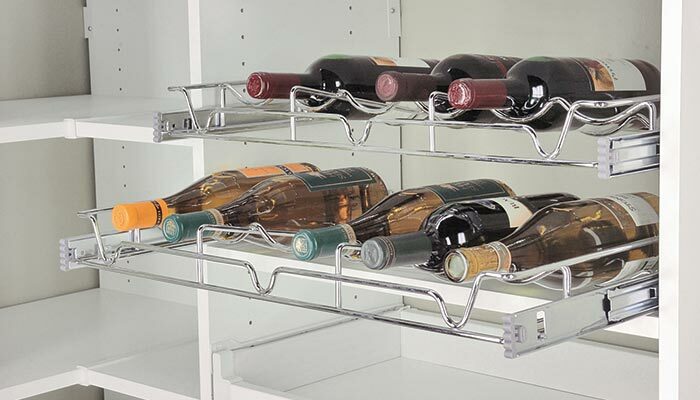 In this example, please notice the pan/tray slots in the left bottom corner and the convenient wine/spice pull-out racks on the right. 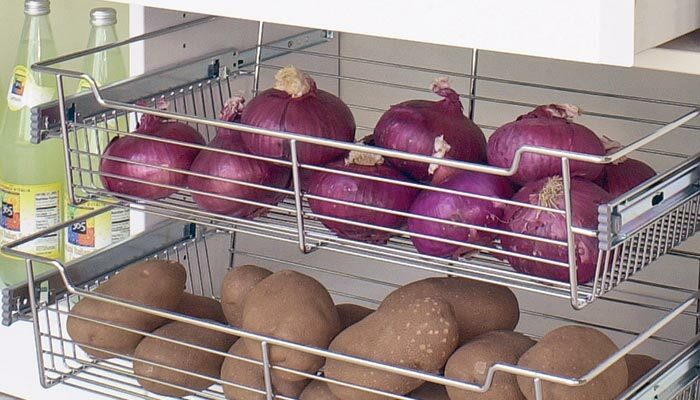 The vertical shelving eliminates any wasted space created by odd shaped cutting boards, trays, platters, broiler pans and other flat, oversize items. It also protects those pans and serving plates from damage. 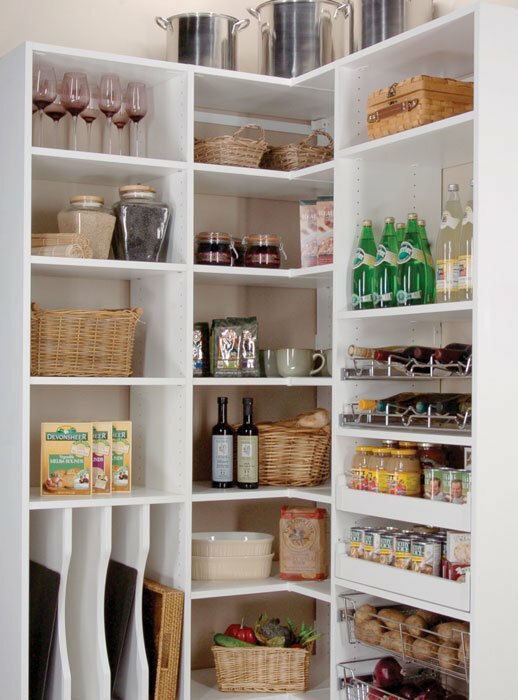 When you have a nice pantry closet like this one, you can really have an organized and enjoyable cooking experience. Also notice that the top of the pantry organizer system stops shy of the ceiling. This is an intentional part of the design, intended to leave room for storage of additional oversized items such as your bread machine, giant pots or other infrequently used food prep gadgets. Closet Works knows pantries and how to make it clean and easy to stay organized! 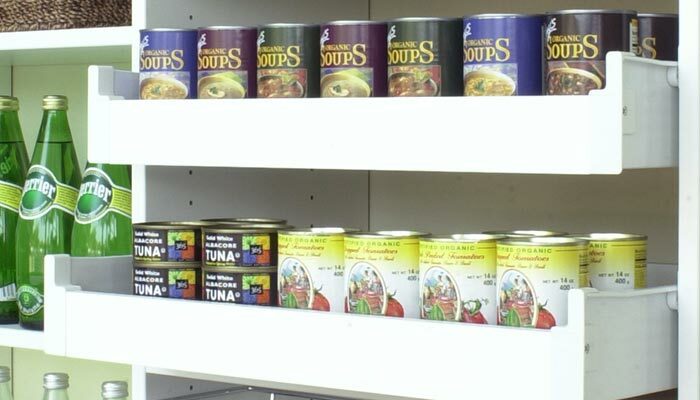 Contact us for your custom pantry shelving system needs.